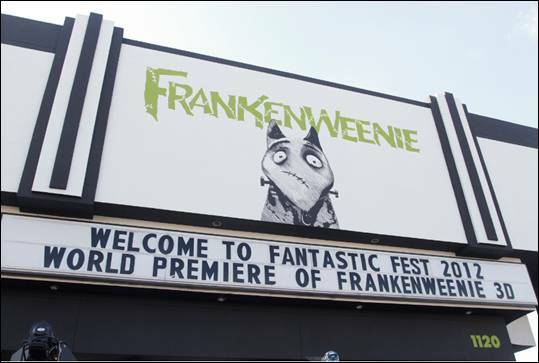 Wish we could’ve been at Fantastic Fest 2012 in Austin, TX for the world premiere of Tim Burton’s Frankenweenie (which opens nationwide October 5). 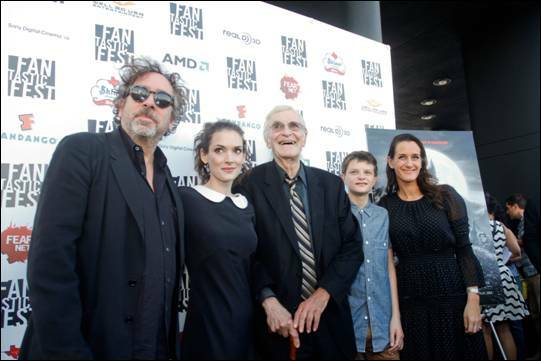 On September 20, Burton, cast members Winona Ryder, Martin Landau, and Charlie Tahan, and producer Allison Abbate were all in attendance for the Fantastic Fest’s opening night screening. Here are some photos and a short Q&A with Burton from that night. 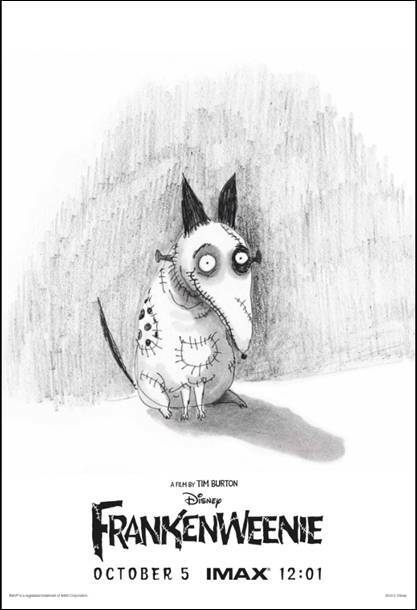 Here’s something cool for those of you planning to check out a midnight showing of Frankenweenie at IMAX. 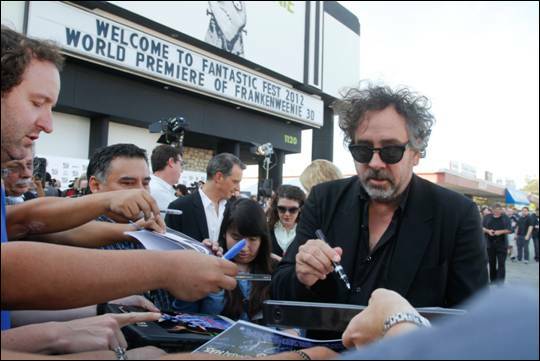 In the wee hours of October 5, IMAX attendees watching Frankenweenie will be treated to a limited edition print of an original sketch by Tim Burton (while supplies last). This print is exclusively for IMAX viewers as part of IMAX’s 12:01 program. Get more information on where you can see a midnight showing at the official IMAX website.